Yesterday morning as I read the George Michael obituaries I reflected on the irony of the iconic singer of “Last Christmas” dying on Christmas Day. The song is instantly recognizable even by my Vietnamese wife and has played on a loop outside many of the Christmas-themed clothing boutiques and coffee shops in Gangnam Seoul over the past few weeks. Turned out that this year is the first Christmas for me in Korea after traveling home to the US for the last 4 years. As I reflect like many people are on the year 2016 that was, I realize that I was afflicted by writers’ block for most of the year. I only blogged 3 times and I have, for the most part, run out of topics to write about. 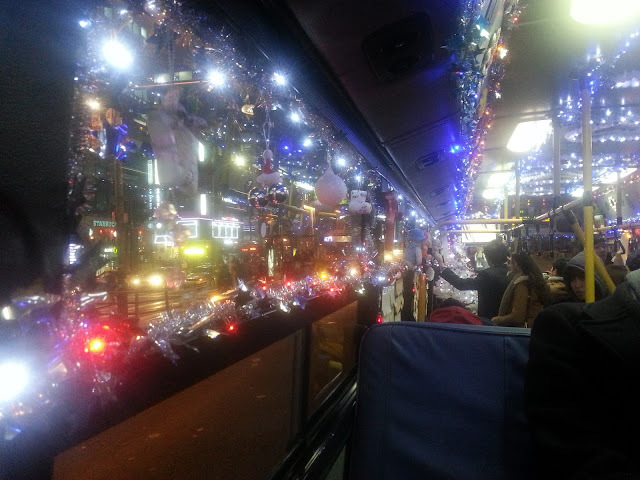 Christmas in Korea is actually new and fresh for me. Hence my primary observation about Christmas in Korea is how ordinary it felt – we worked on Friday, had a 2-day weekend for Christmas Eve and Christmas, and then back to the office again on Monday. Because Christmas is not a family holiday in Korea, unlike the US, people don’t travel or take time off to see family… this is done on Lunar New Year anyway. Most businesses were still open and even the construction workers at the site across from my apartment in Seoul were busy at work on Sunday morning! 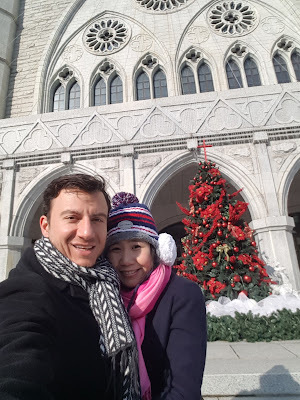 The Catholic church in my neighborhood had a lot of traffic but not substantially more than your typical Sunday… Christians in Korea (about 30% of population) seem pretty devout year-round. The commercial drive around Christmas is more muted here too. Sure, a large number of stores and shopping malls took the opportunity to decorate their fronts in red and green, but only for 2-3 weeks before the holiday. The Hannam-dong Community Center near my apartment decorated itself for the first time in 2016, but I saw its employees erecting a tree and hanging decorations on the Sunday before Christmas… why put in the effort to only hang the decorations for 1 week? Seoul has no Christmas tree lighting ceremony and there is no Christmas market here. There are no crazy shopping days (thankfully) like “Black Friday” or “Cyber Monday”, and not much gift-giving in the office. My director last year, a regular church-goer, did give me some nice dress socks but other than that I haven’t seen gifts exchanged at work. My wife commented that she saw more Christmas decorations in Ho Chi Minh City than in Seoul. Yes ... 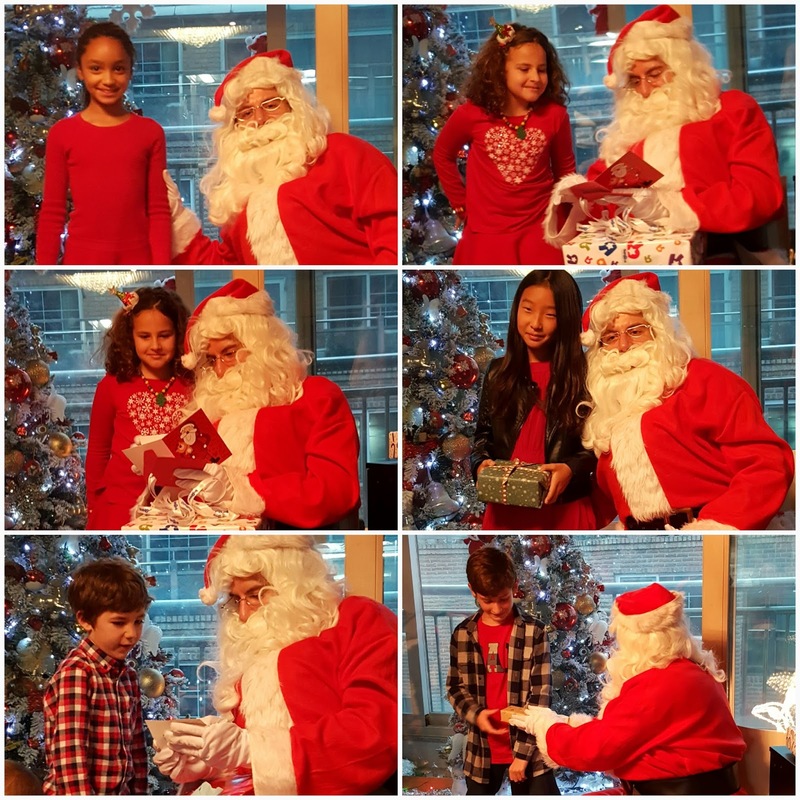 I DID play Santa Claus!! Falling just one month before Lunar New Year, Christmas can never be a major holiday in Korea but I was expecting a little more… a day off from work would have been nice! If you’re not Christian or just tired of the overblown madness which Christmas has become in many Western countries then Korea would be a decent place to be in late December. You can’t quite escape George Michael belting out “oooohhhh ohhhhhhhhhhh!” but you will enjoy the relative normality and quiet of the holiday season here.